Michigan's medical marijuana market is growing beyond expectations, generating more than $42 million in sales since the first dispensary opened on Nov. 1. In the first month of operation, when only a few licensed dispensaries were open, $7.1 million in pot sales were recorded with the state Department of Licensing and Regulation. That figure grew to $11.9 million in January and slipped slightly to $11.2 million in February, a frigidly cold month with three fewer days than January. The total for four months is $42,061,557. In those four months, 8,670 pounds of marijuana were sold at a median retail cost for customers of $213.91 per ounce. And that translates into more than $2.3 million sent to the state from the 6 percent sales tax and $1.2 million from the 3 percent excise tax. Michigan's number is fairly extraordinary since the state has only licensed 54 medical marijuana dispensaries and many of those have only been open for a relatively short amount of time. "That exceeds expectations that any of us had for the market," said Rick Thompson, a board member of the Michigan chapter of the National Organization for the Reform of Marijuana Laws or NORML. "It's a great sign since a significant part of the state isn't serviced by a dispensary yet." The state’s voters approved medical marijuana in 2008 63-37 percent and the Legislature passed bills in 2016 to regulate and tax the industry. Voters approved a ballot proposal legalizing marijuana for adult recreational use in November 56-44 percent and the market is expected to exceed $1 billion once it expands licensing to recreational businesses early next year. Thompson noted that not only are the sales numbers encouraging, but the impact on the economy is also noteworthy. "When we look at the economic advantage, it goes far beyond simple tax revenues," he said. "Businesses are being created. Jobs are being created. And there's redevelopment happening in dilapidated neighborhoods. The advantages of cannabis legalization are far-flung and just now being realized by the state." The 3 percent excise tax on medical marijuana ended Wednesday. That’s because when Michigan voters approved legalizing weed for recreational use last year, state law included language that the excise tax would be eliminated 90 days after recreational weed became legal. 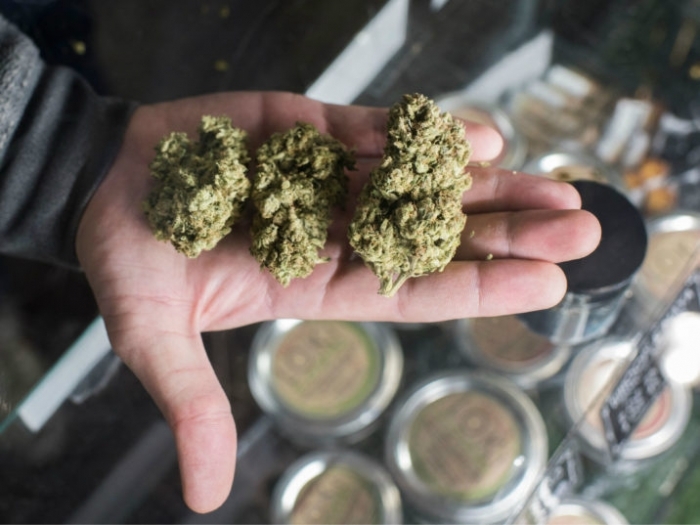 Both medical and recreational marijuana are still subject to the state's 6 percent sales tax and recreational pot will also carry a 10 percent excise tax when it becomes commercially available for sale in early 2020.